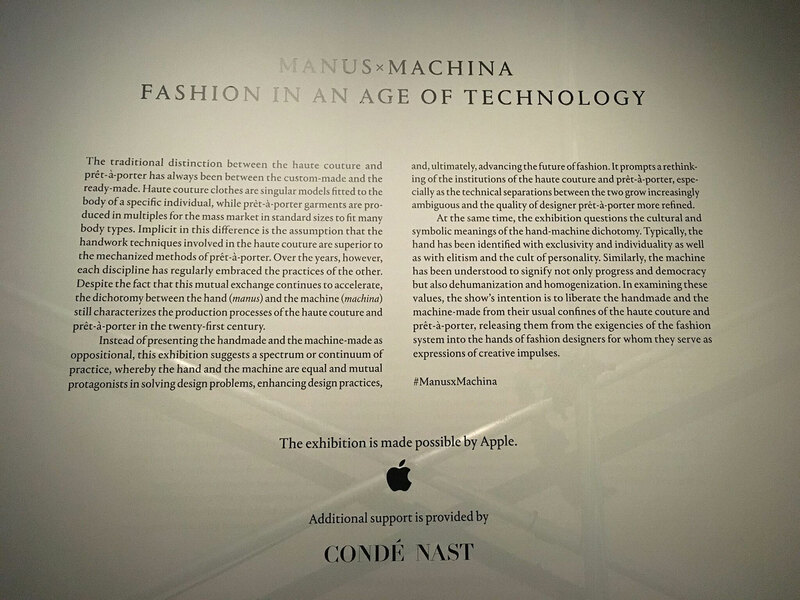 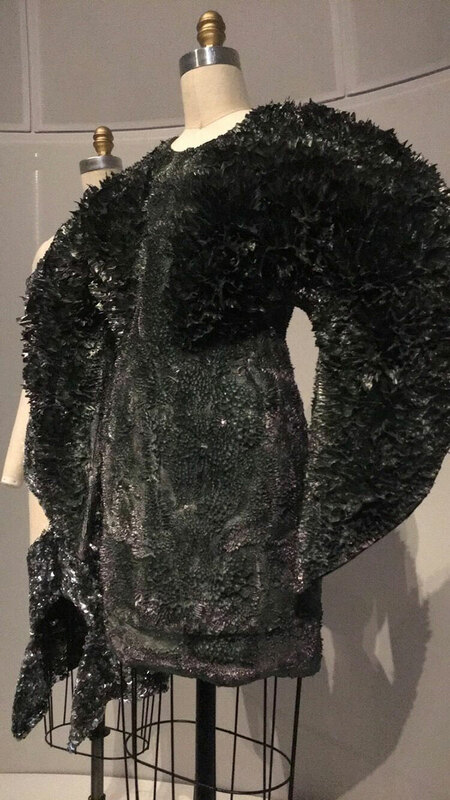 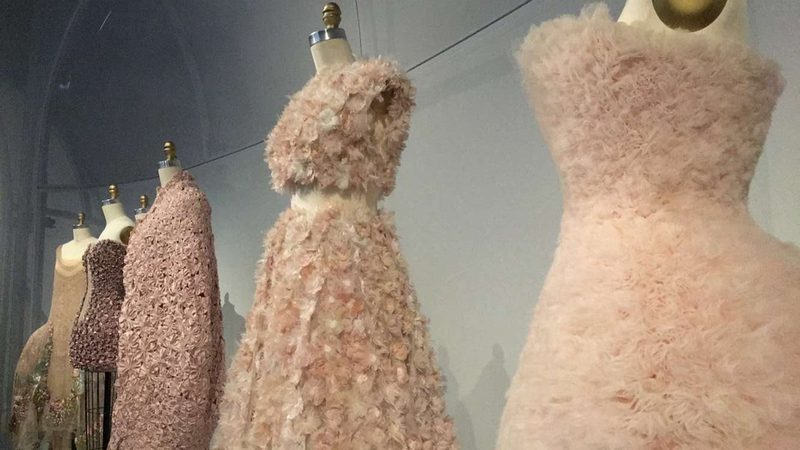 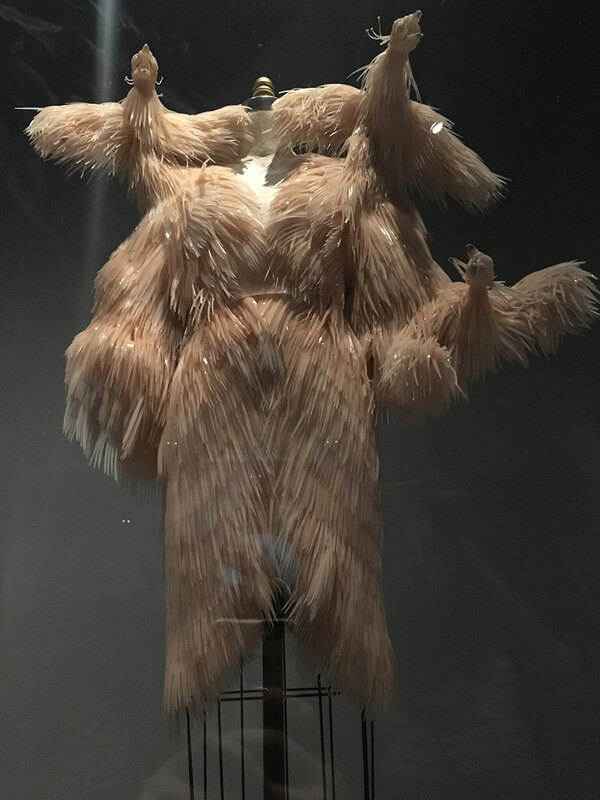 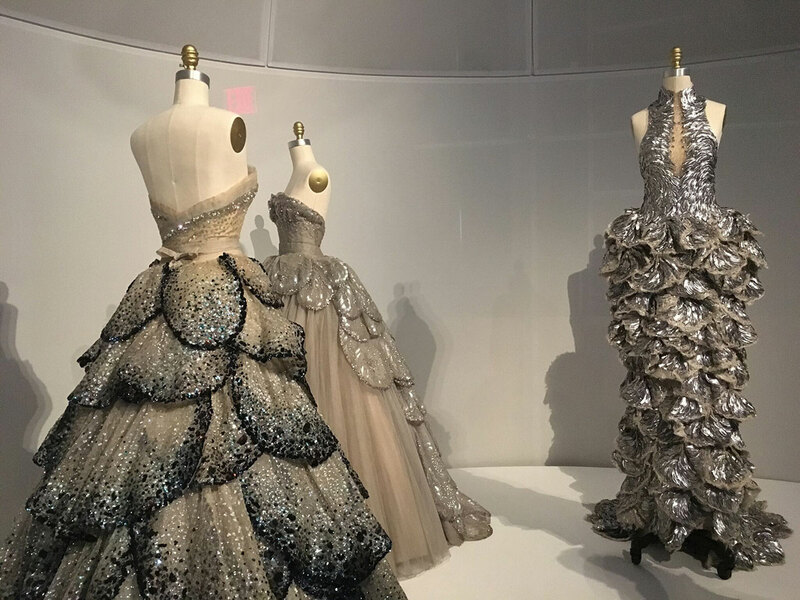 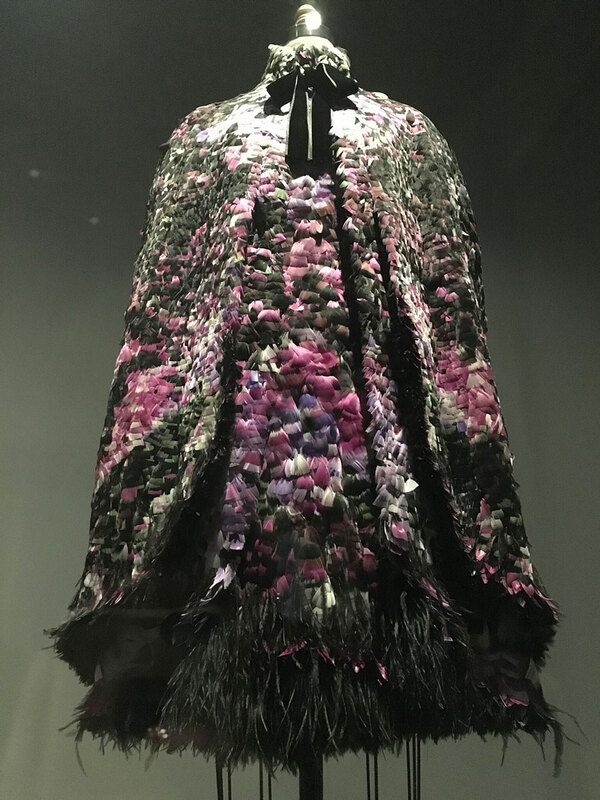 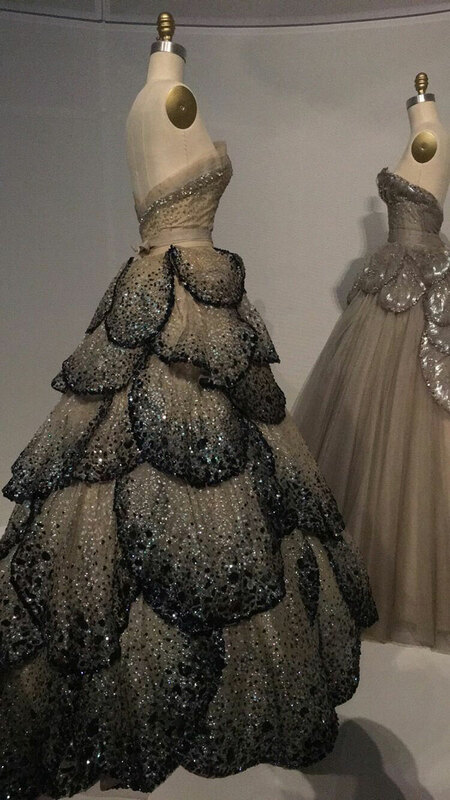 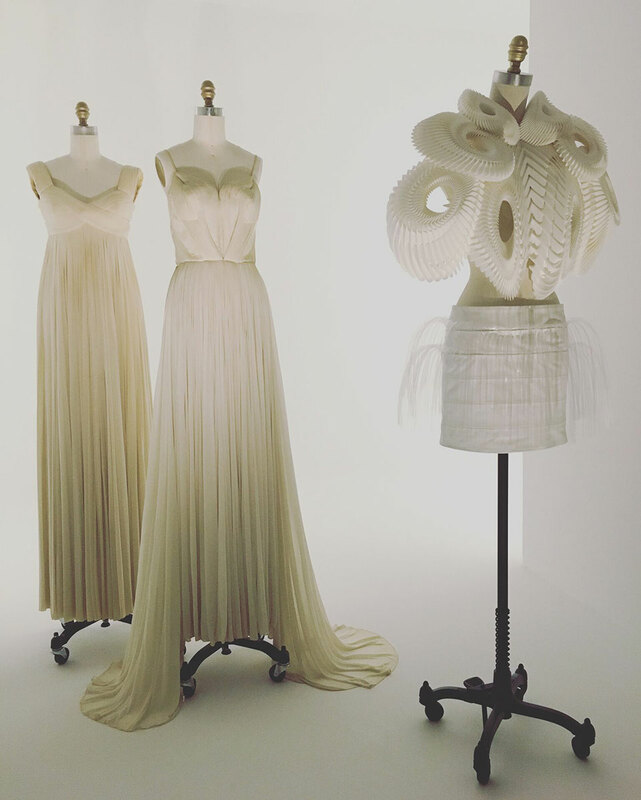 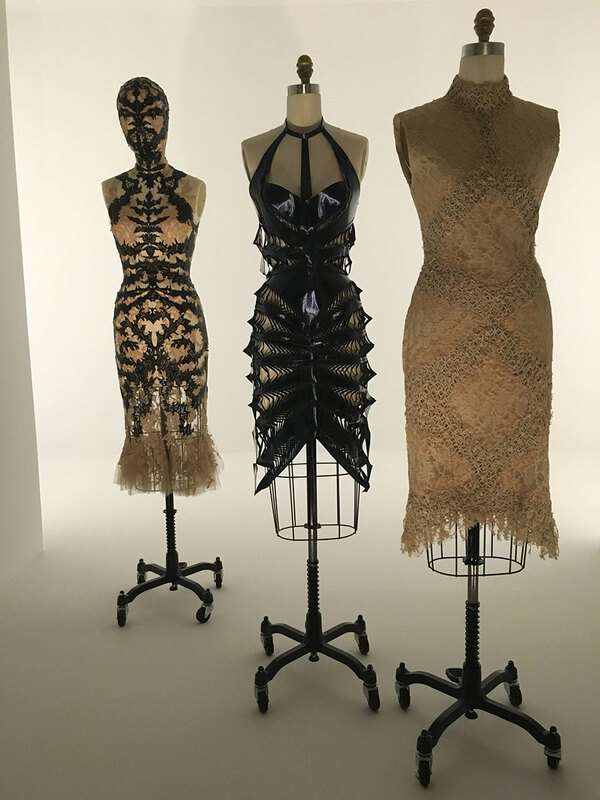 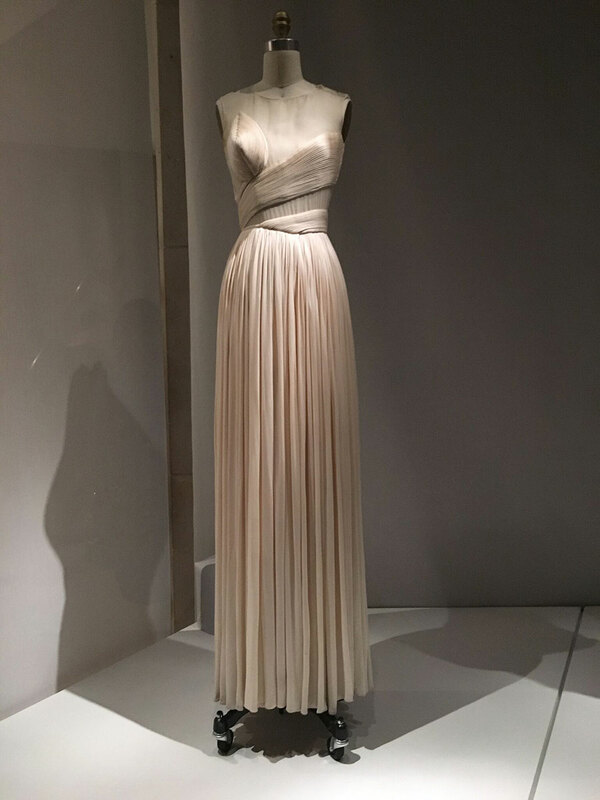 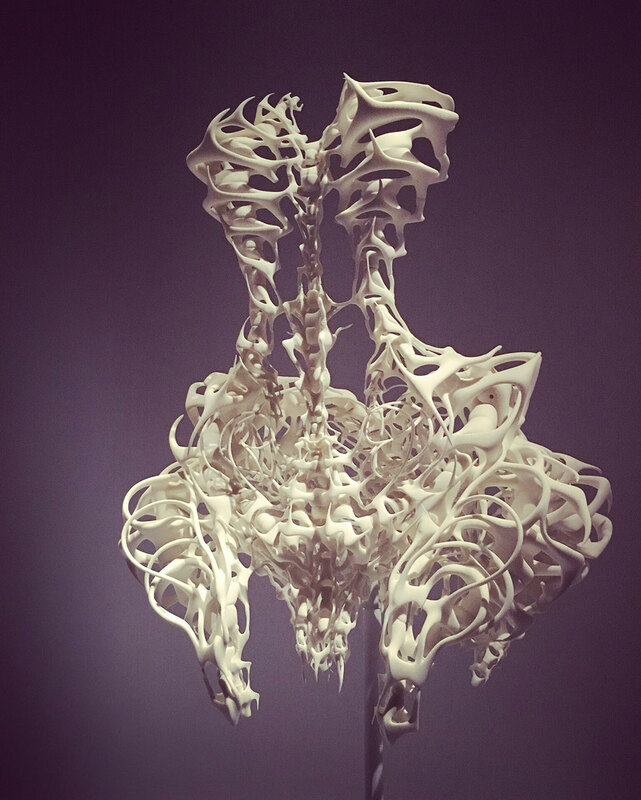 I was in NYC last weekend and had the opportunity to go see Manus x Machina at the Metropolitan Museum of Art, a fashion exhibit exploring the relationship between the human hand and the machine, or technology in fashion. 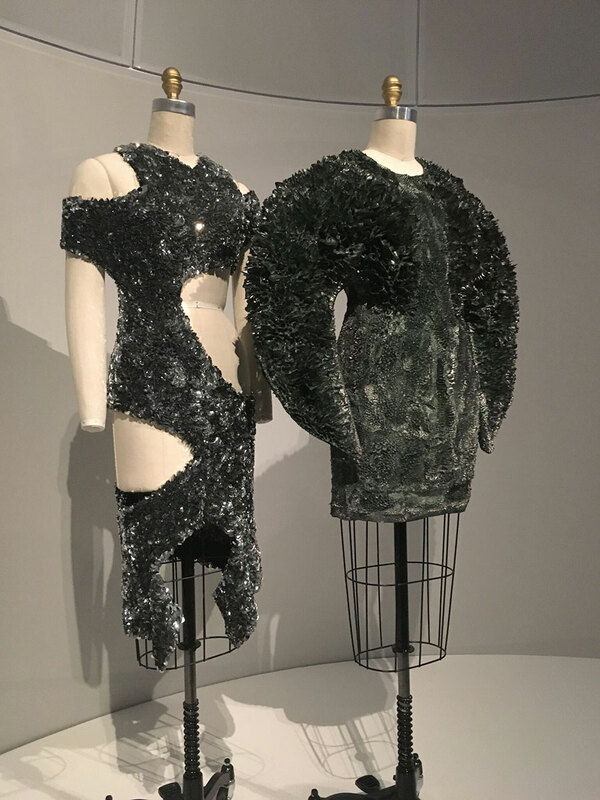 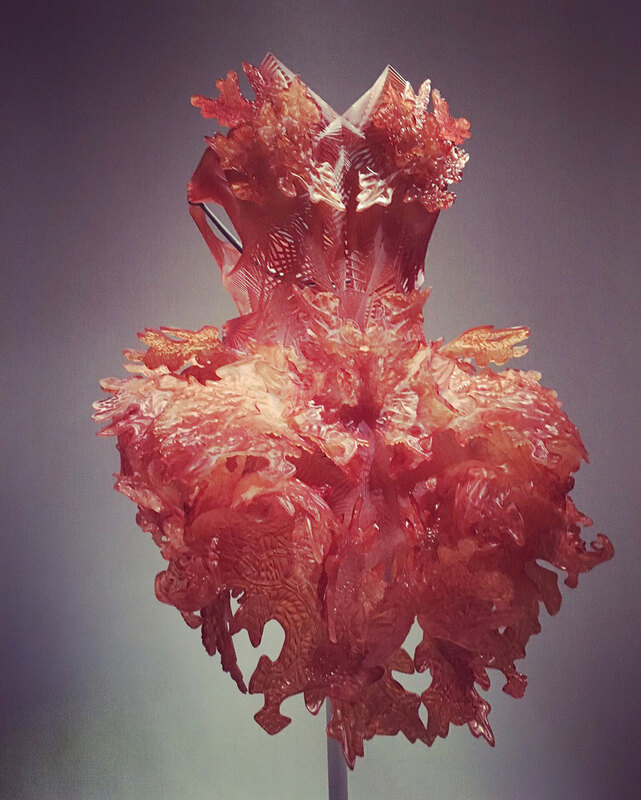 There were incredible pieces there from Iris Van Herpen’s 3D printed dresses to Alexander McQueen’s feathered cape. 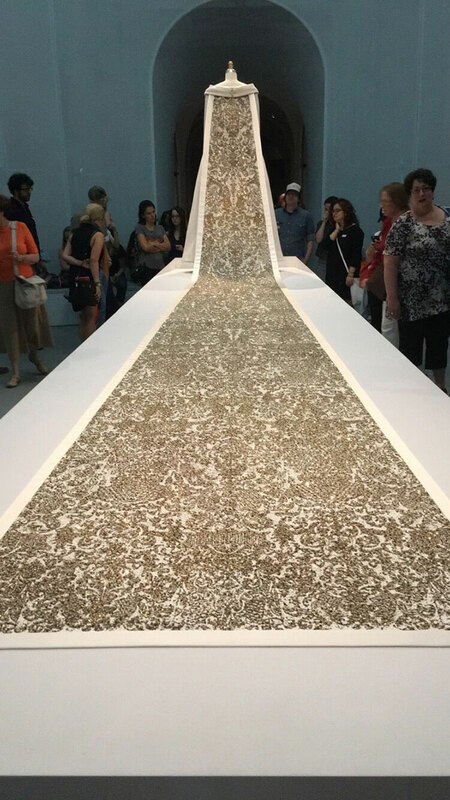 Walking through the exhibit slowly I absorbed as much as my senses could gather. 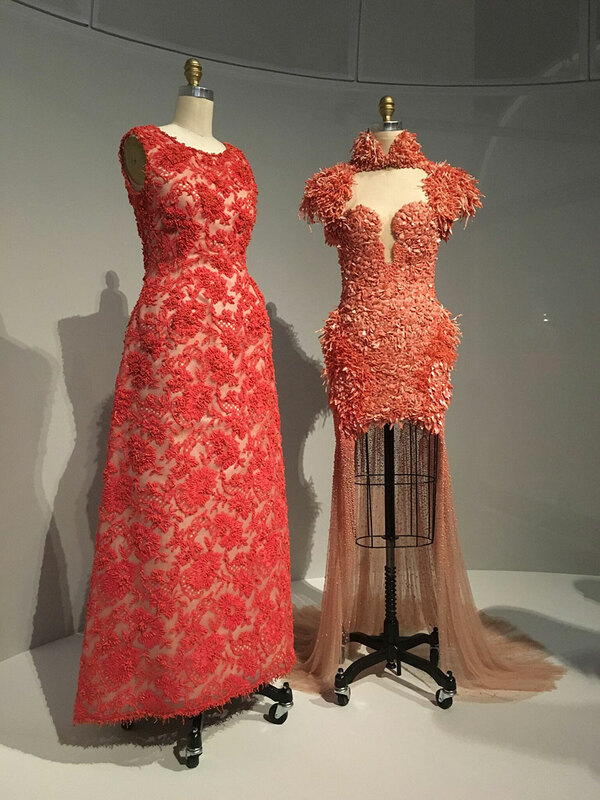 The silhouettes, the colors, and the inventiveness of the designs in general were astounding. 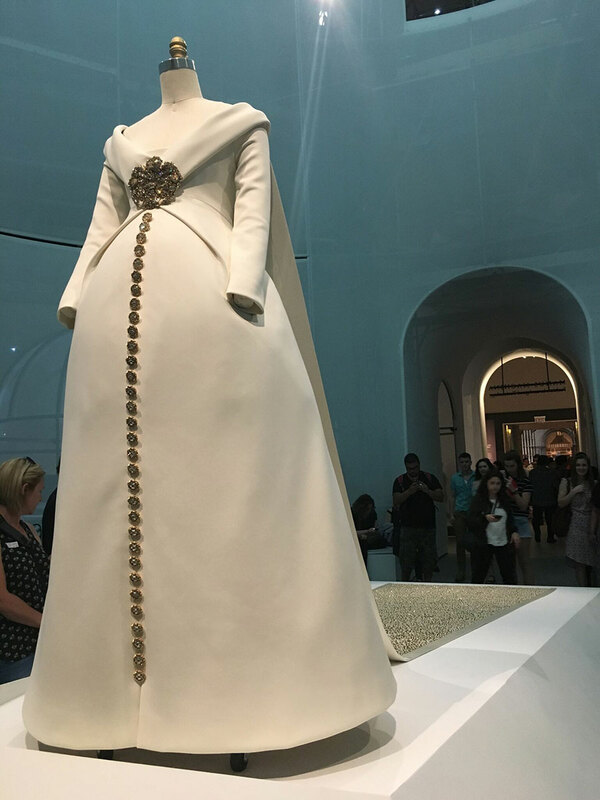 If you are in NYC and have the opportunity to go, I highly recommend the exhibition.